Have you ever worn the motif of an ancient mosque before? 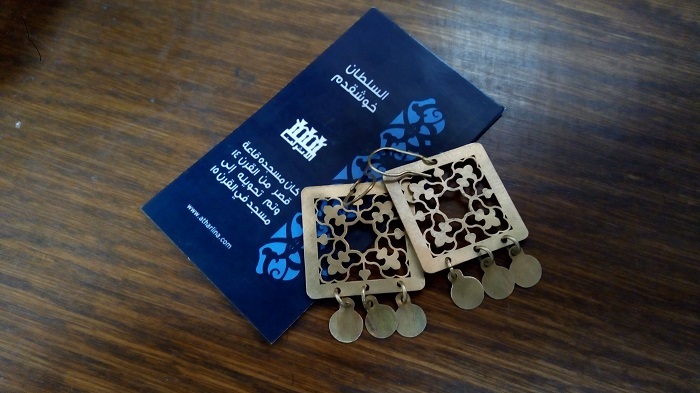 At the handicraft exhibition on the premises of Mogawra NGO in El-Khalifa district, handmade designs are inspired by the motifs of ancient mosques and heritage sites, including copper earings made by local artisans and inspired by motifs of the 15th century Sultan Khoshkadam Mosque. As part of the People and Heritage exhibition, in its second edition, Mogawra NGO launched weekend activities for this month. 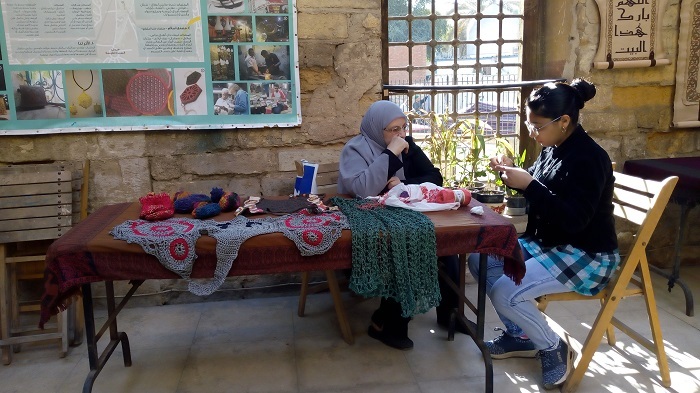 People and Heritage is an initiative that combines 11 heritage-focused NGOs in seven Egyptian towns (Port Said, Mansoura, Isna, Minya, Cairo, Alexandria and Qoseir, under the auspices of the Ministry of Antiquities and the Danish Egyptian Dialogue Institute. Al-Athar Lina Initiative in El-Khalifa district launched over two days with events that included walks, arts, crafts and storytelling activities for children in El-Khalifa district. 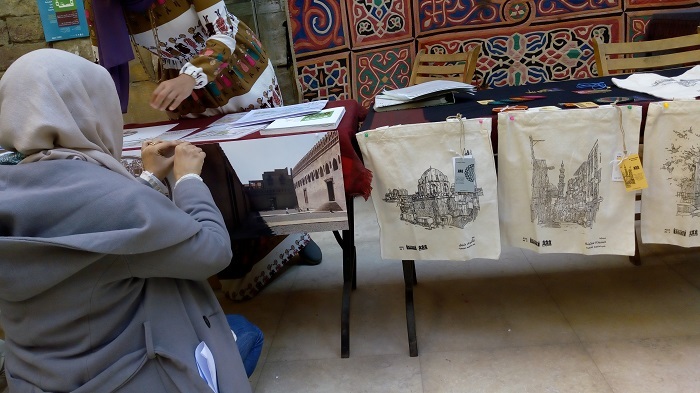 "What we are doing here are activities that target people outside the neighbourhood to come and learn about the importance of heritage and touristic sites in the neighborhood, and others that target the people of the neighbourhood," explained Mai El-Ibrashy, founder of Mogawra NGO. This year they included new tours titled "Squares and Markets" including El-Saida Aisha and Saida Nefisa squares. "We also show case our preservation projects as well as awareness projects. Also the Imam El-Shafei mausoleum after its restoration," she added. Free of charge activities include a treasure hunt where the children get to know the history of El-Khalifa district, sports activities in the playground created in Darb El-Hosr, handicrafts exhibitions of the artisans of the neighbourhood, and a concert hosting a local musician. Treasures of El-Khalifa districts are numerous. 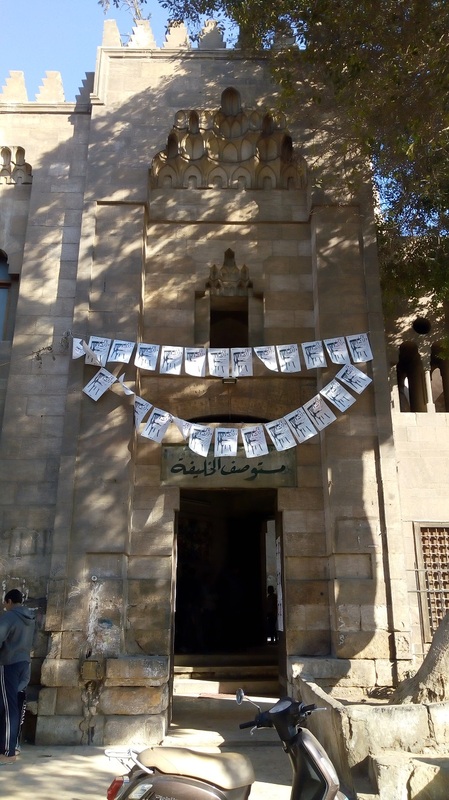 It hosts the Ibn Touloun Mosque, one of the oldest and best preserved mosques in Cairo, the Gayer Andreson Museum or Beit El-Karetlya, as well as the dome of Sultana Shagar El-Dorr, to name but a few highlights. Being a few blocks away from Saida Nafisa Mosque, the district also covers Darb El-Sebaa (The Trail of Lions), which was the route to religious festivities from the Caliph's march to announce the flood season, the holy month of Ramadan, to Sufi carnivals, and also the trail of Mahmal. Being more focused on the people of the neighbourhood in this edition, Al-Athar Lana also promotes the home made cooking of the ladies of the district. 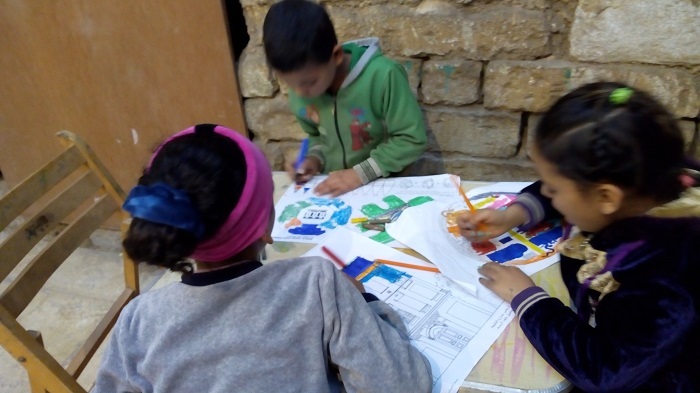 As the young people were touring the district, the little children were painting and playing. A very vivid connection was effortlessly established between the community and their monuments, a connection that enriches the sense of belonging to such heritage, and consequently to preserve it for generations to come. But the fact remains, the true treasure of El-Khalifa district is it's people.